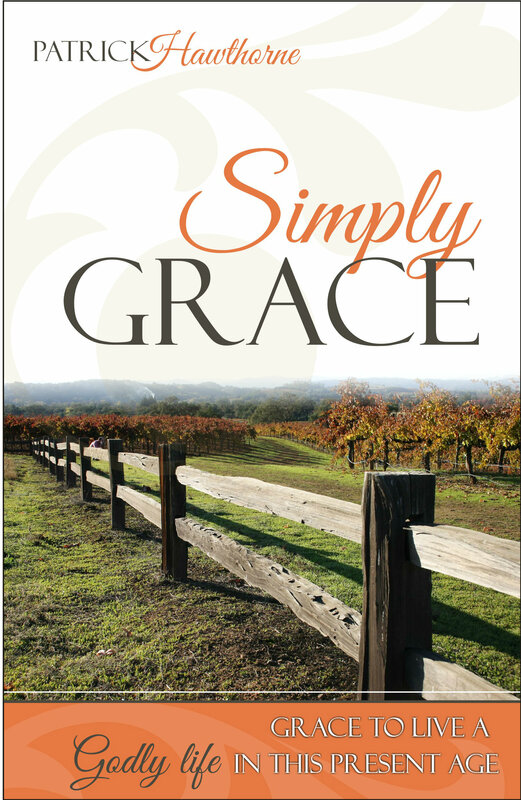 I have been wanting to put my book, “Simply Grace,” on my blog site for awhile and I feel that now is the time. The following is the Prologue and Chapter 1. I will space the remaining chapters out over the next several weeks. Please feel free to copy or re-post if you so desire. Like no other song that I know, “Amazing Grace” is the one song that will melt even the hardest of hearts. I have been in prison services where many of the inmates came just to have something to occupy their lengthy day. Prayers were prayed…they could have cared less. Sermons were preached…just another person jabbering their jaws. Play “Amazing Grace” and they jump to life like a spark to a flame. What is it about that one song that evokes a total personality shift? Is it the message behind the song, or nostalgia from a simpler and possibly happier time? Or…is it the time when they felt the gentle nudge of the Holy Spirit and the abundance of His love as He called them to a new and better life? Amazing Grace…If we could fully grasp just how truly amazing it really is. My desire, as you read this book, is for you to discover for yourself the abundance of God’s grace. God loves each of us so much and His desire is that we walk in the fullness of what He has planned for each of our lives. By understanding the many sided operations of His grace, we can walk in confidence knowing that our Heavenly Father is fully able to not only lead us through life’s many dangers, toils and snares, but to empower us to fulfill His divine destiny for our lives. This book is written for the purpose of helping not only the young in Christ learn to walk in God’s grace, but to serve as a reminder to those who have walked with Jesus for many years that God has plans and purposes for your life. You are never too old and your light is never too dim to walk in the fullness of what God has for you. 1 Amazing Grace was written by John Newton and first published in 1779. Newton, a self proclaimed wretch, wrote this song following his divine deliverance from certain tragedy as he tried to steer his ship through a violent storm. What did that mean, “the unmerited favor of God?” I knew that unmerited meant undeserved, but what about the favor part? What was this favor that was meant for me to which I did not deserve? Each question I asked brought with it more of the same vague type answers. It was not long into our conversation before I realized that my pastor was about as clueless on the subject as I was. Did that make him a bad pastor? Of course not…but it did open my eyes to understand that I needed to study the Word for myself and not lean solely on the knowledge of others. Little did I know back then but that one question was the catalyst that would ignite the desire within me to uncover the truth concerning the meaning of God’s grace. Do I fully understand all aspects of God’s grace? Absolutely not! The Word of God is as infinite as its Author. However, each time I delve into the subject I learn more and more. So what is grace? To many in the theological circles, the ‘unmerited favor’ definition would be expounded on to denote the grace by which God, through our Lord Jesus Christ, saved us from certain eternal death. This type of grace is known as salvation grace. Salvation grace is a gift given to us by our Heavenly Father. It is totally undeserved because of our sin nature, but greatly appreciated by those who walk in it. For by grace you are saved through faith, and that not of yourselves, it is the gift of God not by works, so that no one can boast. For us to know and share the salvation portion of grace is of vital importance; however, it is only the tip of the iceberg as it relates to God’s grace. Unfortunately, there are pastors who are preaching the same salvation message week after week to the same group of people. They never get past the milk of the Word.As a result, many Churches are becoming cold and stagnant, and their membership is dropping off at an alarming rate. Parishioners, such as was with me, are leaving in search of a home where they can learn the meat of the Word. Please don’t get me wrong. Winning the lost from eternal damnation is of utmost importance. I do not belittle these pastors, nor do I negate the impact they have made in bringing souls into the Kingdom of God. However, if the Church has no growth, then that indicates that no new souls are being won for the Kingdom. Therefore the salvation message is not having its intended impact. As I sat under this type teaching those many years ago, I realized that there had to be more to grace than just salvation. I wanted to know why God loved me so much that He gave Jesus, His only begotten Son, to die for me (John 3:16). Furthermore, I wanted the answer to another question directly tied to grace. That question was, “I’m saved…Now what?” Does God save us and then send us out to manage the best we can, or does He provide the wherewithal to live a victorious life? Eventually the thoughts of grace began to take a back seat to other things. In time my quest to learn about grace was all but forgotten…forgotten by me, but not forgotten by God. What I did not know was that a seed had been planted and was awaiting the right time to sprout. It was not until years later while listening intently to a message by my current pastor, Pastor Sam Carr, that the flame would be reignited. That was when Pastor Sam began teaching a series on God’s grace from Titus 2:11-14. It was verses eleven and twelve that made the greatest impact on my life. With those two verses my world opened up in a new and awesome way. Within a matter of minutes the Holy Spirit opened my spiritual eyes to see what I had been missing for so many years. My desire to learn about the grace of God was kicked into overdrive and I was hungry for more. For about a year “grace” was my primary focus. Everywhere I went in the Word, I saw God and His grace in action. What had been head knowledge was making its way into my heart. Once a truth is captured in your heart, nothing can persuade you otherwise; you know-that-you- know. The more accurate term for this heart knowledge is ‘rhema’ knowledge, or a rhema word. Rhema is a Greek word which means, the Lord speaking His dynamic living word in a believer to in-birth faith. A rhema word is a word that is embedded in your spirit by the Holy Spirit. It is a truth that has come alive within you. Once a truth is captured in your heart, nothing can persuade you otherwise; you know-that-you-know. That is how grace had become with me. Through this new found truth, I knew that God’s grace was not just for salvation. It was and is for so much more. The grace of God is a teacher. As a teacher, grace lets us know that we DO have the ability to renounce and reject all ungodliness and worldly desires. Furthermore, grace teaches us that we can live self controlled, upright, and spiritually whole lives right here and right now. With grace comes a spiritual maturity that we would otherwise not be able to walk in. This maturity is not something we receive in the sweet by and by. No, it is something we can live for today…in this present age in which we are living. God’s grace teaches us that we do not have to be conformed to this world, its ways, or its perverted ideas. Grace teaches us that we can be transformed by the renewing of our minds so that we may prove was is that good, and acceptable, and perfect will of God (Romans 12:1-2). Grace teaches. Therefore, it is a learning process. Grace does not expect perfection overnight. Yes, there most certainly will be bumps and hurdles along the way, but if we hold fast and don’t give up we will see our lives becoming more in line with Almighty God’s standard of holiness. Better yet, God’s abundant grace teaches us that God is not mad at us when we falter and make mistakes. Grace looks at the heart and the motives of the person. Grace looks at the manner in which we run our race. So, what is grace? As written earlier, God is infinite so it is impossible to give a “one-size-fits-all” definition that fully explains all aspects of grace… or any other Godly attribute for that matter. However, I can share a definition that I believe the Holy Spirit has placed within my heart so that I may better understand His grace. Grace is God’s abundant mercy. His desire is to not only save us from the penalty of eternal death (through the sacrifice of His dear son Jesus), but to empower us to live our daily lives in a self-controlled, upright, and Godly manner. God’s grace is His strength, His power, His wisdom, and His love freely extended to all and within all who call upon Jesus as Lord and Savior. Grace is the action to God’s love. I was amazed to learn that the tune set to “Amazing Grace” is an old slave song. I think that occurred under God’s divine direction. There is something in that tune that appeals to the slave in all of us along with His message of saving grace. Looks like a good book, Patrick. Thanks Mrs. Pam…Every now and then I go back and reread it. I am always amazed at some of the things I wrote because it was straight Holy Spirit. Who would/could have thought all those years ago? I enjoy reading your blogs and am enjoying your book. Thank you, Pat for sharing with us, and thank God He put His words upon your heart. Love ya, Baby Brother (in my heart). Love you too, my friend. I’m with you…who woulda ever thought? You’ve captured another facet of the Kingdom here on earth, Patrick. The sanctification process is all the sweeter when He allows us to see a bit of our own progress. Lovely. The author captured another facet of the Kingdom here on earth. The sanctification process is all the sweeter when He allows us to see a bit of our own progress. Lovely read, and I look forward to the book.